Getting tofu to taste great is simple when you have just the right recipes and tips. Here are easy tofu recipes for kids that the whole family will love. 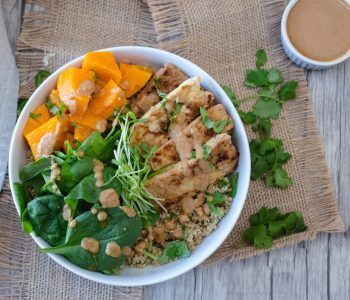 And if you’re ready for tofu to become a staple in your repertoire, explore our category Tofu Recipes: Easy and Versatile for lots more ideas. Parents always welcome new options for healthy eating, and tofu is a superb food to add to the repertoire of growing children. It’s high in easily digestible protein, low in fat, and is a good source of calcium, iron, and B vitamins. 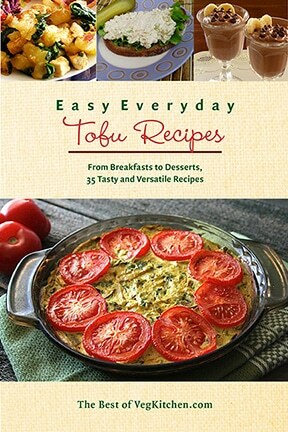 If you’d like an easy resource for family-friendly tofu recipes, you might enjoy Easy Everyday Tofu Recipes, the first in pdf e-book series, The Best of VegKitchen. Featuring 35 or so recipes that have proven most popular on the site, these well-priced, compact e-books let you to delve into specific food niches without poring through lots of web sites. If you’re a tofu fan you’ll love having a focused array of recipes right at hand. To learn more, go to Easy Everyday Tofu Recipes. More resources: The Vegetarian Family Cookbook and The Vegetarian 5-Ingredient Gourmet, from which the recipes in this article were adapted. Silken tofu: Available in 14- to 16-ounce tubs or 12.3 ounce aseptic packages, this type of tofu is very soft and smooth. It’s great pureed and used as a base for soups (Creamy Corn Chowder, following), dips, and sauces (Macaroni and Cheese With Secret Silken Tofu Sauce, following). 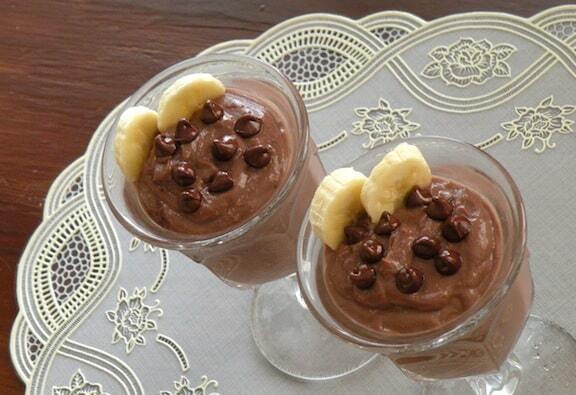 It also makes an ideal dessert puddings or pie filling (Tofu Chocolate Pudding, following). 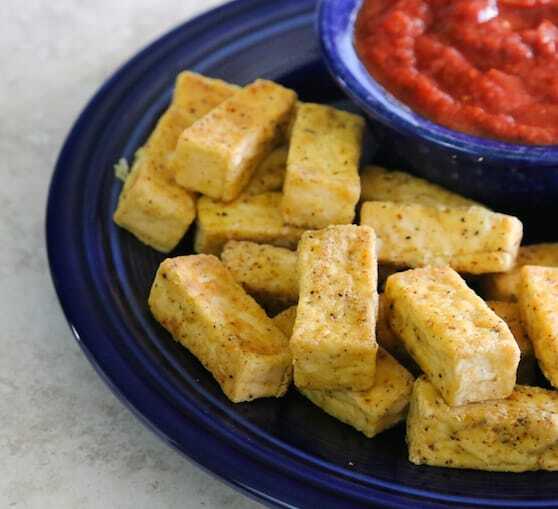 This may be the best type of tofu to use when you need to sneak it into your child’s meal! 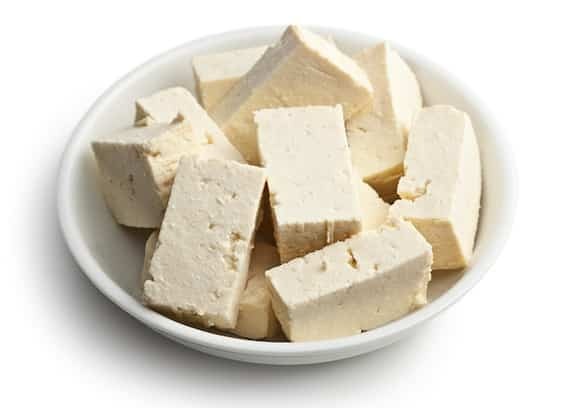 Soft tofu: This comes in 14- to 16-ounce tubs and is good for using crumbled, as in scrambled tofu, eggless “egg salad” or patties (Gently Curried Tofu Burgers). Finely crumbled, this is also a good substitute for ricotta cheese in dishes like lasagna. Like silken tofu, soft tofu can also be pureed and used as a soup or sauce base, with a somewhat heftier consistency. Firm or extra firm tofu: Available in 14- to 16-ounce tubs, use this when you want the tofu to hold its shape. Firm tofu is ideal for use in stir fries, stews, and as cutlets or nuggets such as the Baked Tofu Nuggets, following, or Barbecue-Flavored Tofu Nuggets. 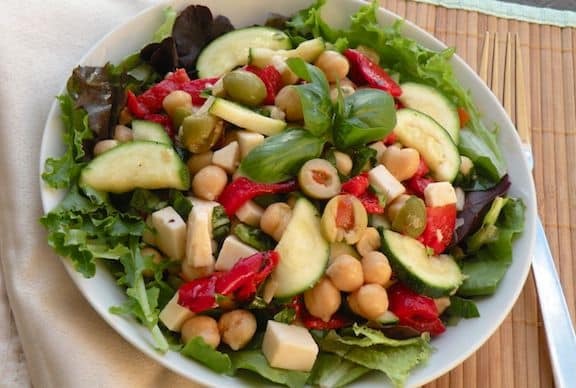 Baked tofu: Of the tofu varieties listed here, this one is the most difficult to find in supermarkets. Look for this chewy, dense, and flavorful form of tofu in natural foods stores. Sliced, diced, or (with effort) crumbled, it can be used as a chicken or tuna substitute in stir fries, sandwiches, casseroles, and tortilla dishes (Tofu Fajitas, following). See also 5 Simple Ways to Use Baked Tofu. In this super-easy, nearly-instant tortilla recipe, chewy baked tofu stands in for chicken. Letting the kids make their own fajitas becomes part of the fun! Photo above by Rachael Braun. 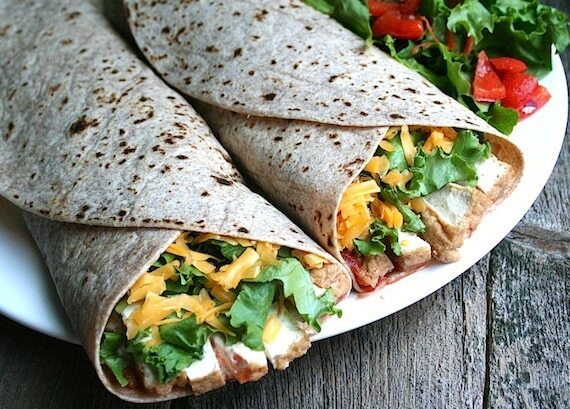 Wrap the entire batch of tortillas in foil and warm in a preheated 400-degree F. oven or toaster oven. Place the tofu strips on a plate and microwave briefly until well warmed, about 3 minutes. Spread a little salsa and vegan sour cream down the center of each tortilla, then arrange a few tofu strips over them. Sprinkle with some lettuce, and if desired, a little cheese. Roll up snugly and eat out of hand. These breaded nuggets become firm and chewy as they bake. Kids enjoy dipping them into their favorite sauce. If you have extra time, try these with VegKitchen’s Quick Vegan Barbecue Sauce. Photo above by Evan Atlas. The same children I tested this on 5 years ago still request this each and every time they come to my house for dinner. This basic macaroni and cheese is rich and comforting. Using pureed silken tofu as a base for the sauce gives the kids a good dose of tofu goodness. Cook the macaroni in plenty of rapidly simmering water until al dente, then drain. Meanwhile, puree the tofu until perfectly smooth in a food processor or blender. Transfer to a medium sauce pan and add the margarine and cheese. Slowly bring to a gentle simmer, stirring often, then cook over low heat until the cheese is thoroughly melted. 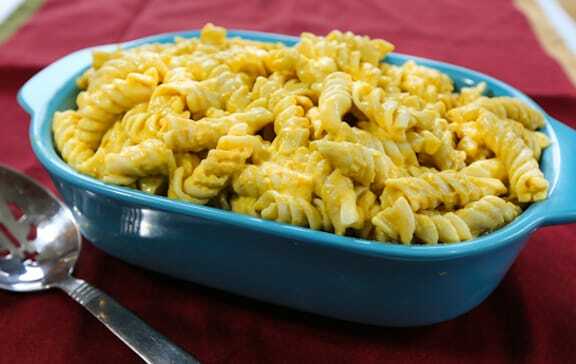 Combine the cooked macaroni and sauce in a serving container and stir together. 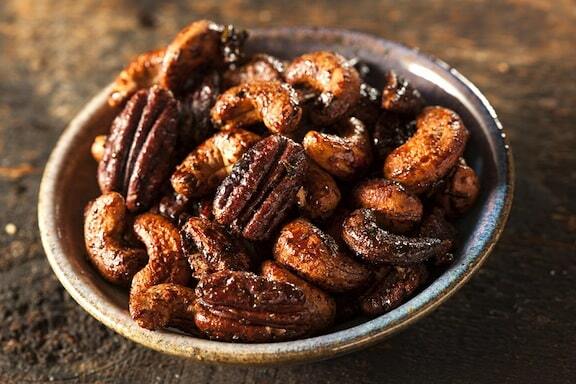 Season with salt to taste and serve at once. VARIATION: Bake in a casserole dish at 400 degrees F. for 20 to 30 minutes, or until the top is golden and crusty. To this variation, you can also add fine whole-grain breadcrumbs sprinkled over the top before baking. Pureed silken tofu is a superb base for creamy soups, such as chowders. It provides substance without the need for thickening. The mild, familiar flavors will entice kids of all ages to enjoy a soothing bowl of soup. Photo above by Lori Maffei. Heat the oil in a soup pot. Add the onion and celery and sauté over medium heat until golden. Add the carrots, potatoes, bouillon cube, and cumin, plus just enough water to cover. Bring to a simmer, then cover and simmer gently until the vegetables are tender, about 25 to 30 minutes. Stir in the corn kernels and pureed tofu. Add just enough rice milk to give the soup a medium-thick consistency. Season with salt and pepper and simmer for another 10 minutes over very low heat. If time allows, let the soup stand off the heat for an hour or so before serving, then heat through as needed. Remove the bay leaves before serving. TOFU CHOCOLATE PUDDING 4 servings Silken tofu is a great base for pudding—it has just the right consistency, and it spares you from bothering with a flour-thickened milk sauce, which tends to scorch and lump. Explore the entire Veg Kids and Teens page for lots more easy, healthy recipes. See more of VegKitchen’s Versatile, Easy Tofu Recipes. May I asked how to prevent the cheese from clump into lumps? Any idea how to fix with the cheese lump that won’t melt thoroughly? If I just mesh tofu with fork, can I still get the same result? Lastly, I used pre-shredded cheddar cheese, what is the best way to store for longer use. I’m making this pasta for my 14mth old baby. Pls do highlight if this recipe is not suitable. I think i was not clear with my question on “Any idea how to fix with the cheese lump that won’t melt thoroughly?” I meant how to fix the end product sauce that has lumpy cheese. And also question ” pre-shredded cheddar cheese, what is the best way to store for longer use.” I meant the best way to store remaining pre-shredded cheddar cheese. Sorry for the confusion. Appreciate your expertise. Christina, you won’t get the same effect if you just mash the tofu with a fork. It won’t be bad, exactly, but it will be more like noodles with (dairy-free) cottage cheese rather than mac and cheese. It should be fine for your 14-month old if you use very small noodles. I wouldn’t recommend rotini for the baby; maybe something like pastina or ditalini. If your cheese isn’t melting thoroughly, you can put the warm sauce into a blender, if you have one, or use an immersion blender right in the saucepan, to make it smoother. But really, even if the cheese isn’t thoroughly melted, it’s still will taste good. Hope this helps! The mac n cheese was good but after mixing it up in the saucepan I decided to bake it and after baking the sauce had set. No longer creamy, consistency of a baked custatd ir something. Tasted decent but my teenager wouldn’t eat it. Shouldn’t have baked it! Some of the info wasn’t clear enough. Do you cook the tofu at all or is it “cooked” in the microwave? And why in the microwave? These recipes actually sound very delicious but a rather thorough explanation would be more helpful. Thank you for these recipes, but please extend the explanation. I do hope you get to this message in time and reply back. Lisa, the only reference to microwave is to the baked tofu (maybe that was the confusion; baked tofu is a ready-to-eat product, as opposed to the bland white tofu that comes in tubs that needs to be well blotted and flavored). You can just as easily warm the strips of baked tofu in a small skillet, or just used them at room temperature. I hope that helps. If you need any other clarifications, I can address them later this evening. Hi thanks for posting this because it’s really helpful. I’m a teen and im thinking of becoming a vegetarian except my family isnt so I need recipes that are easy to make and can be refrigerated and reheated at dinner time. Can the tofu nuggets be reheated and can I do it in the microwave? Im a really good cook so I just need recipes that can be reheated. Marti, good for you for cooking for yourself! That’s exactly how I got started. It wouldn’t be terrible if you reheated the nuggets in the microwave, but they’d be crispier if you reheated them on a non-stick skillet that’s been sprayed with cooking oil spray. Hope you enjoy them! You wouldn’t use the above tactics to “get them to eat” pizza or ice cream because it is assumed they will like them. I think it’s mostly grown ups who fear tofu–to kids it’s just another thing they have yet to experience in their young lives. I just made BAKED TOFU NUGGETS for my 3 1/2 year old dd who used to like Tofu before she was 3 and now no-longer like it. I thought I try the recipe and she likes Tofu yes!!!!!. However, she does not like barbecue sauce or ketchup so we made are own hummus. My first time using tofu. I made the creamy corn chowder. HUGE hit with both my teens! I LOVED it. The only thing I changed was I used almond milk instead of rice milk. My son liked it more than my usual corn chowder! It is absolutely delicious. A question…. Can I freeze it? Jen, I’m glad that your first foray with tofu was a success. As for freezing, I’ve never tried it with the corn chowder, as it doesn’t make a huge batch and it gets eaten quickly. I don’t see that it would be a problem, though to my mind nothing tastes as good after it has been frozen and then thawed. If you try freezing it, please let me know how it works out. 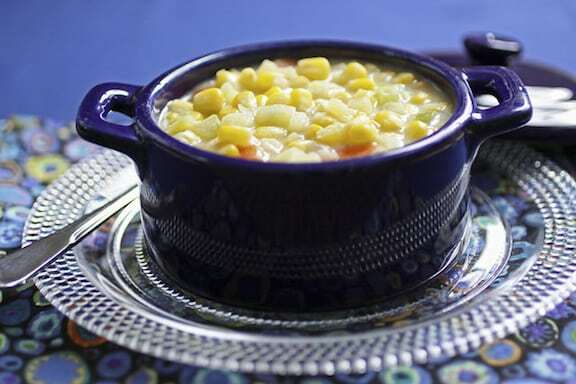 Thanks for the response about freezing the corn chowder. You were right – it was gone in no time! Next time I will try freezing just one serving and see how it goes. I like to freeze soups so that I can grab quick lunch in the mornings to bring to work. So, I’ll let you know how it goes! Paula, that is such a clever idea! I love cauliflower and see how it would meld smoothly with the pasta. I’ll try it next time. I’m curious if you served it to a child, and how it went over? Thank you so much for these recipes! My daughter and I are vegan (she’s 10) and my husband is good about eating that way at home, at least. My 12 year old son, however, hardly likes ANYTHING! He is terribly picky, but loves corn and potatoes, so I thought I would try the soup. I don’t use oil, so I substituted veggie broth for that and ran out of bullion cubes, so used Mrs. Dash. Otherwise, I had everything and this soup was GREAT. Even my son ate it. When I find a hit like that, I make it over and over again. Thanks so much!! In regards to the vegan macaroni and cheese, I am extremely excited to try this recipe [I love both tofu and previously non-vegan mac and cheese though I do have a couple of questions. First of all, I am hoping you can give me a recommendation on a good non-dairy cheese to use besides Daiya. I am not a fan of Daiya yet since I’m a new vegan I have not had a chance to taste any other cheese. Also, last time I blended tofu in the Vitamix and the tofu splattered all over the Vitamix leaving me spooning out the tofu. Is there a way to avoid that? Hi Emilie- I’m away from the computer this weekend and will give you a thoughtful response when I can do so with more than one finger from my phone! About your other question, I think the Vitamix and other blenders are better with things that are more liquidy. 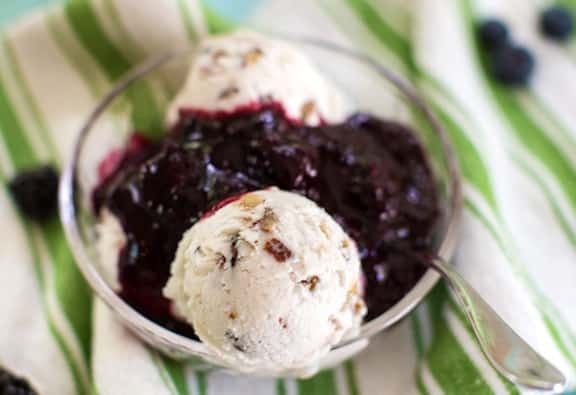 The only way to avoid that may be to add about 1/2 cup of non-dairy milk along with the tofu, but in general, a food processor is better for pureeing tofu, as you can scrape down the sides with a rubber spatula from time to time, and it’s much easier to transfer out of the processor, as well. I hope these ideas help and have answered your questions! By the way, this site has been unbelievably helpful, I use it as a reference for good recipes amost every day! I made some tofu fajitas! Yummy! 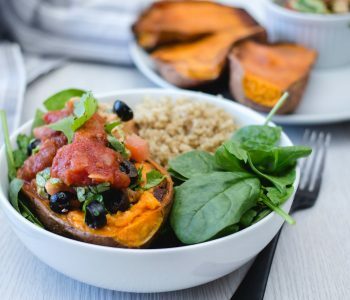 I’ve been a vegetarian for a couple years and I want to go vegan, these recipes gave me some great ideas. I just fried some extra firm sliced tofu with sliced onions and peppers; added some hot sauce to the skillet right before it was done. Put the mix in a heated tortilla and topped it with some daiya shredded cheese! first time I actually liked tofu 🙂 super happy thanks!! Ashley — I love your variation; it sounds delicious. So much you can do with fajitas and soft tacos that are easy and yummy. Hope you come back for more ideas! made the chocolate pudding – really nice, slightly nutty flavour? the bairn loved it too so winning! Yum! I hope they do like it, Jenn. I just made your macaroni and cheese but I’m a bit confused as to which type of tofu I should use. At the beginning of the article you say that silken tofu is very soft and smooth. But then in the recipe for mac and cheese you ask for extra firm silken tofu. As tofu is a new ingredient for me I am a bit confused. Could you clarify which tofu I should use, soft or firm? By the way, I used smooth and it looks OK. Hopefully my son will enjoy it. Thank you for the recipies! Hello and sorry for the delayed response. Silken tofu comes in firm and extra-firm, and both are very soft and smooth. It has a silkier texture than regular tofu. Sorry for the confusion — I’ll see if I can edit the recipe a bit to clarify. I hope your son did (or will) enjoy it! My kids asked for seconds! Yay, that’s what we like to hear! 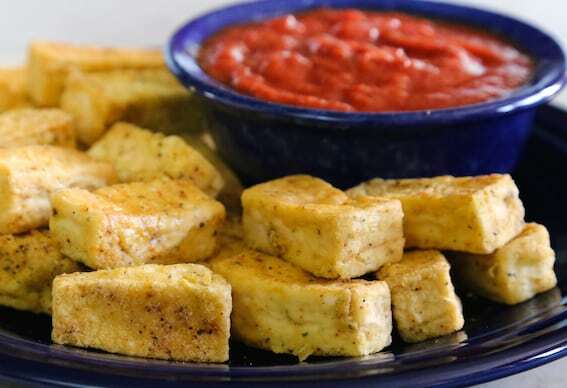 The baked tofu nuggets should be easy and fast prepare. Hope I can get the sauce taste just right.